IBM, the tech giant, has filed a new patent application that would track developers’ codes and milestones on a blockchain-type network. In other words, IBM is looking to record the performances or accomplishments of coders by using a distributed network when they work together on the same project. As the application suggests, such tracking can be used to properly credit different designers according to what they actually did. According to IBM, programmers basically need to work together to create a software product, but an effective approach measuring a programmer’s contribution is lacking. 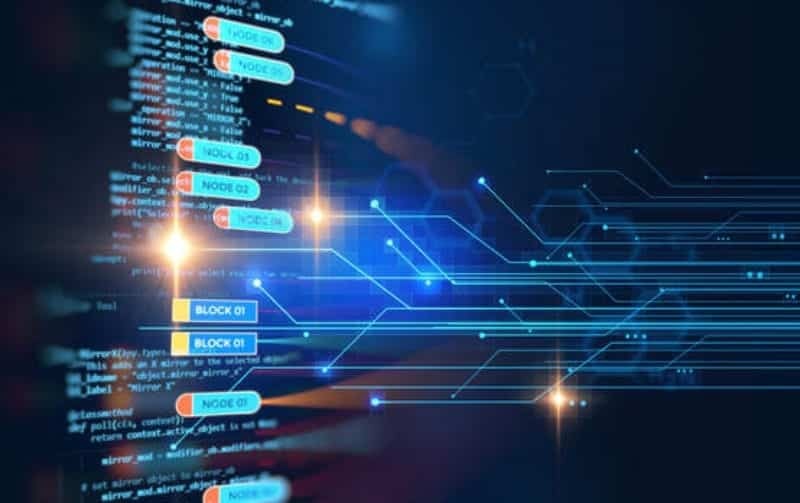 “Once the new block has been calculated, it can be appended to the stakeholder’s application software history blockchain, as described above. The block may be updated in response to many triggers, such as, when a programmer selects a button on a graphical user interface (GUI) on a computer display showing a code editor to add code, when a unit test has been completed, when a code integration is completed, when an assigned work item is closed, and so forth,” the company goes on to note. This is not the first time that IBM has filed patents for blockchain technology. In April, the tech giant was looking to seek patent a method to ensure that a network of connected devices could securely execute blockchain-based smart contracts.